Any or all of the above, knowing which doesn’t help very much really, especially when we are totally feeling overwhelmed. When we are lost in feeling overwhelmed our ability to think rationally has flown out of the window, our body suffers enormously and even the simplest task becomes impossible. Add all this up and and despair is next on the list, if we don’t get out of the hole soon depression could start to creep in. From the smallest of things severely debilitating symptoms can manifest. can be the start of more serious symptoms, but what came before feeling overwhelmed? It would seem as if it were just one thing on top of another, all coming to fast for us to deal with each one, until, well, until there are just too many things to think (worry?) about. Perhaps it is as simple as our inability to deal with life as it shows up, always in a hurry, always somewhere to be, we never get around to dealing with what shows up. Then the pressure builds, imagine a twist in a water hose, the water cannot flow freely, so pressure builds, until.. Overwhelm… ‘Clearing‘ helps keep the flow open and prevents build up of pressure. 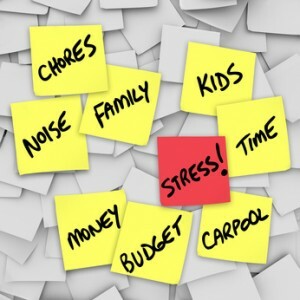 When the pressure does not build the chances of feeling overwhelmed are reduced considerably. or explore, in Eric’s latest book – ‘First Aid – A Guide to Greater Health and Happiness’ ways that you can help reduce pressure build up from the comfort of your own home.